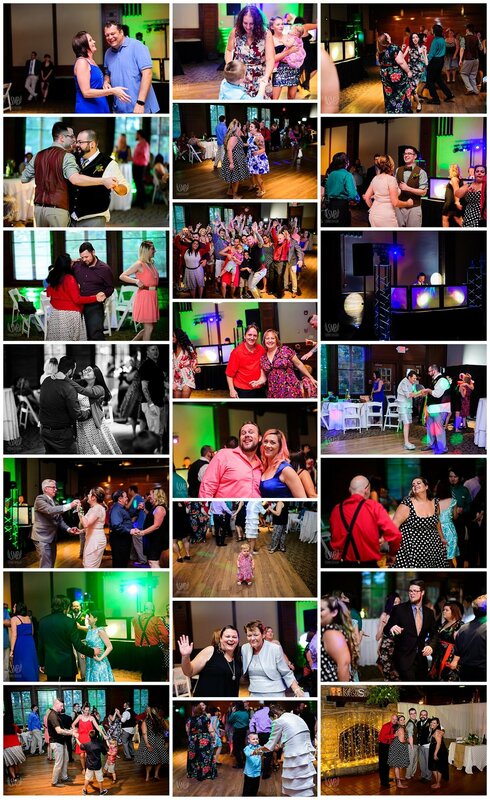 VENDOR SHOUT OUT: Finding Eminence (florist), Guys on the Radio (DJ), Starved Rock Lodge (venue), Jane Schomas (Officiant), Mo @ Starved Rock (cake). NOW: Kevin & Stewart. Oh man, what a day. First of all, we met a month ago at their engagement session (Have you seen it? Cat shirts. GO SEE IT.) We hit it off and knew we were going to have so much fun at the wedding. We arrived at Starved Rock to find the great hall looking green with amazing florals from Finding Eminence Farm. Moss and wood rounds and wildflowers and the entire place was amazing. 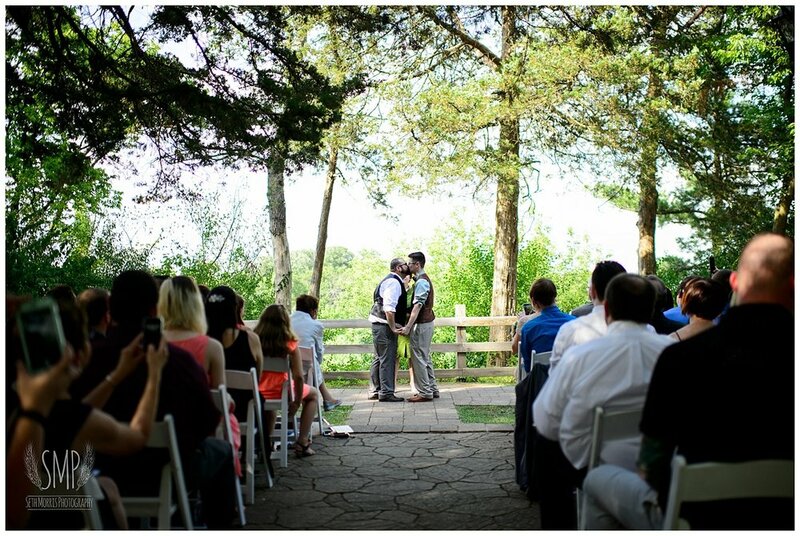 We shoot 20 weddings a year at Starved Rock and I honestly can't remember one that seemed so earthy. I loved it and it really reflected these two. There are a couple little spots along the way where we can stop and get a photo op. Seth likes these roots so we stopped there and then at Council Overhang. Since they had wildflower favors, we had to swing by the field. (They burnt this prairie early this year and it's starting to come back.....) I think I am going to actually take my favor out there and throw mine in the field. Then I can call it the Smith-Valetine field and all future couples can thank these two for their pretty flower field pictures!! Time to get married! While I was editing these pictures I teared up a bit thinking about what these men said to each other. I think it's because as a parent this is what I want my children to find in a partner, someone who makes them come alive and be fully themselves. Someone who makes them feel loved and appreciated and supported. These two found it and are it for each other. Back to cocktail hour and then cutting the cake. Good thing too because it was reeeeeeally hard to wait to eat a cupcake. A cupcake??? Sh-yea, right, are you mental? I had all of them. :) And they were amazing. Here was one of my favorite parts of the day. They took a minute to just talk about each other and thank each other. I LOVED THIS. Kevin knocking on wood was my favorite. :) Here's to many happy years together. Keep thanking each other. Keep bragging about each other. And then we danced the night away. It was such a great day that really focused on their relationship. Although it looked beautiful and amazing, the day felt like it was all about Stewart and Kevin. It was a lovely day to celebrate their love. And in the words of Lin-Manuel Miranda LOVE IS LOVE IS LOVE IS LOVE IS LOVE IS LOVE IS LOVE.